If you long to work on the Starship Enterprise, send your resume to NetDragon Websoft. 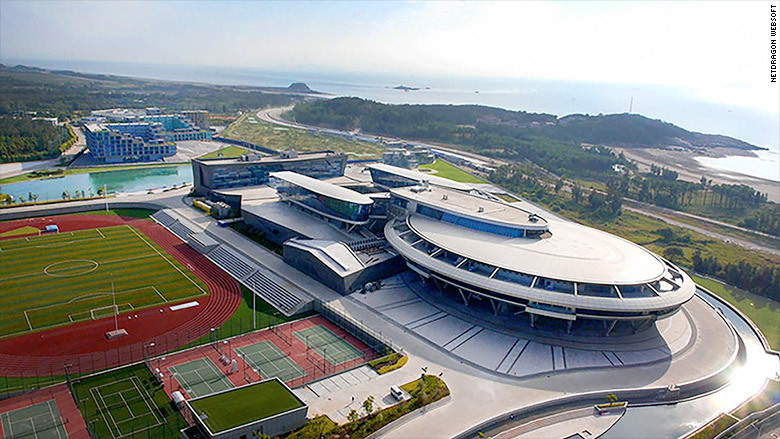 The online game developer run by an avid "Star Trek" fan has built its headquarters in China in the shape of the legendary spaceship that Captain Kirk used to "boldly go where no man has gone before." NetDragon was founded by Liu Dejian, one of China's most wealthy men and a self-described Trekkie, according to various Chinese and American news reports. The six-story building in China's southeast Fujian province is about 850 feet long and 300 feet wide. The company reportedly spent nearly $100 million to build it, and construction was completed in October. NetDragon executives reportedly asked CBS, which produces Star Trek, for permission to build their terrestrial version of the Enterprise. "That was their first time dealing with [an] issue like this and at first they thought that it was a joke," the company told the Wall Street Journal. "They realized somebody in China actually did want to work out a building modeled on the USS Enterprise only after we sent the relevant legal documents." As if the Star Trek theme weren't unusual enough, the building also features a life-size replica of a Tyrannosaurus rex skeleton.